Joined Business Council for Sustainable Development Singapore as founding member. 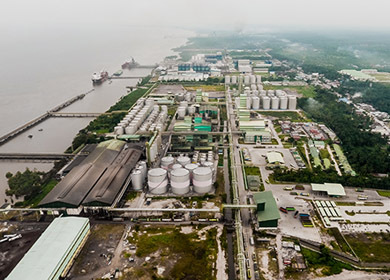 Completed Phase III refinery expansion in Dumai, Indonesia. Total refining capacity of 2.34 million metric tonnes per annum. Sari Dumai Sejati Refinery and CEP Biodiesel Plant in Dumai are certified to ISCC and RSPO. Asianagro Agungjaya Marunda is certified to RSPO.